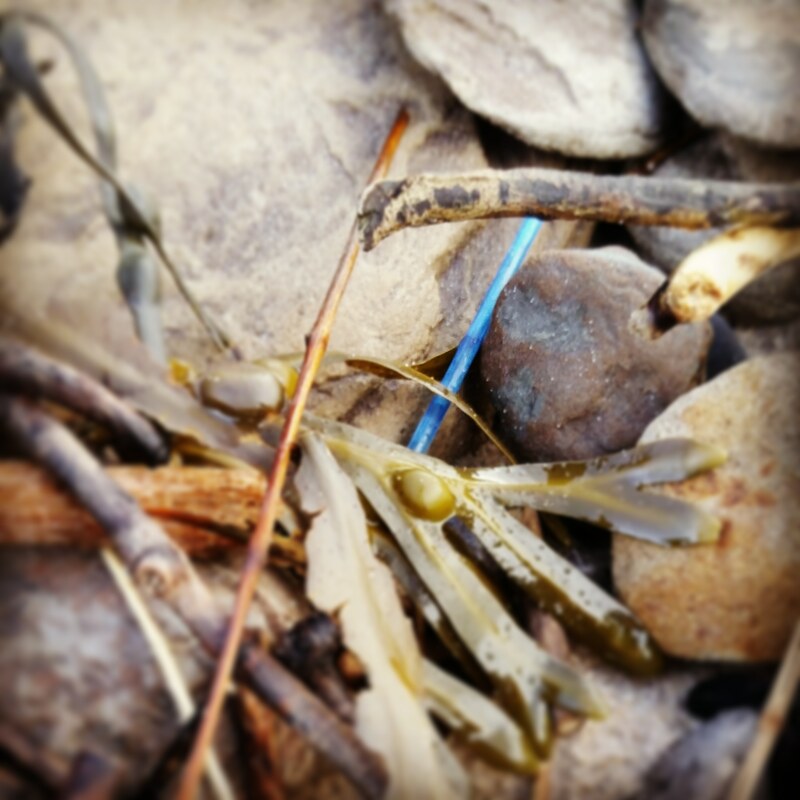 Increasing awareness of microplastics in the ocean, and our food chain is starting to spread. 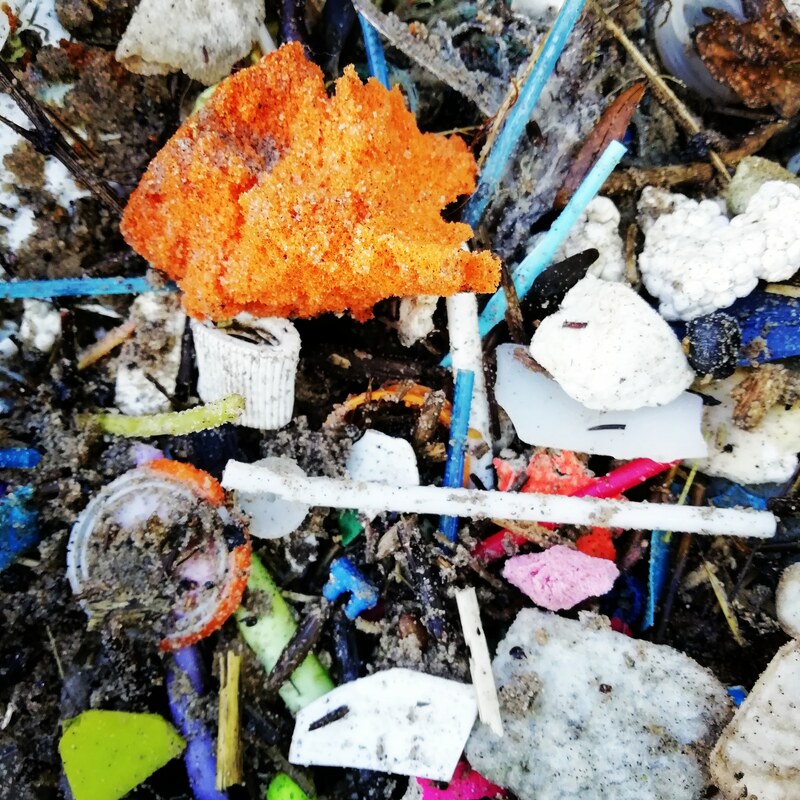 Soon there’ll be a link between plastics and diseases in humans, but is it all too late? 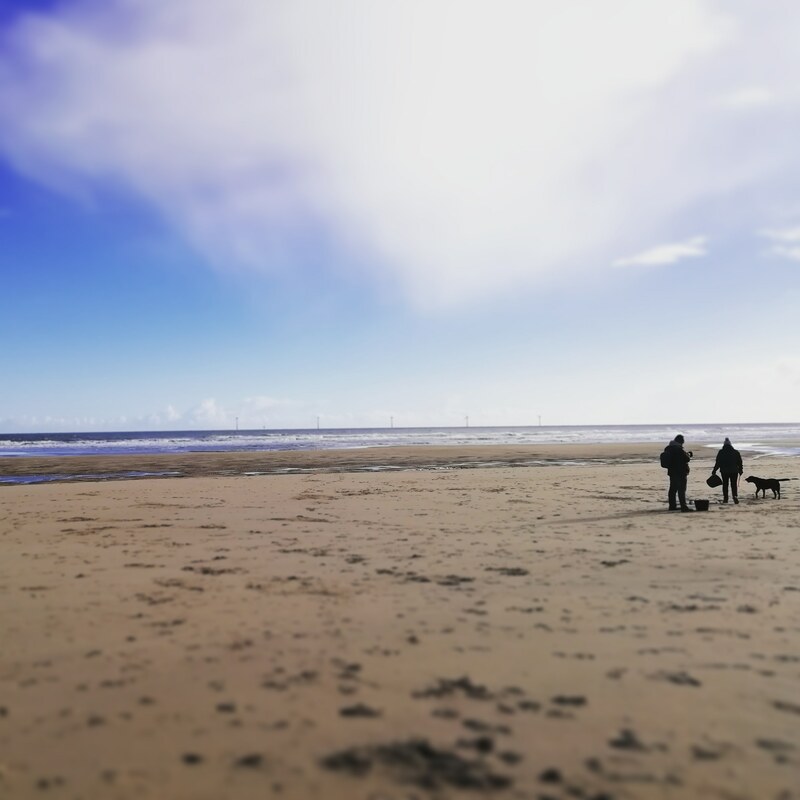 Our volunteers hit Cambois beach for the annual Surfers Against Sewage Autumn Beach Clean. It was certainly autumn weather when we were greeted with a sleet storm followed by glorious sunshine. 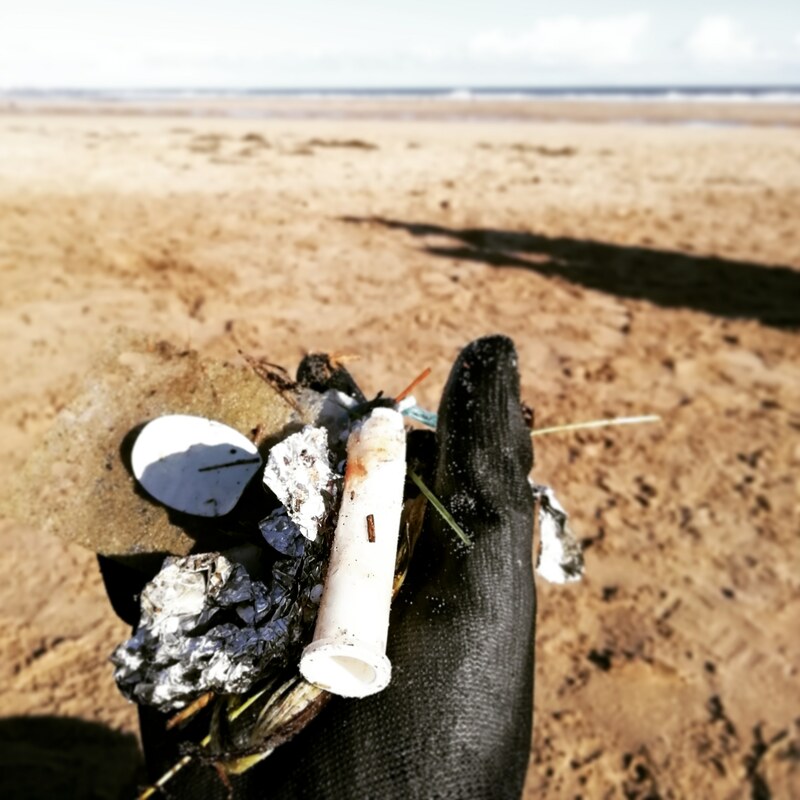 Concentring on the area near the river estuary, our volunteers scavenged an apparently clean beach until they started picking up HUNDREDS of small pieces of plastic. 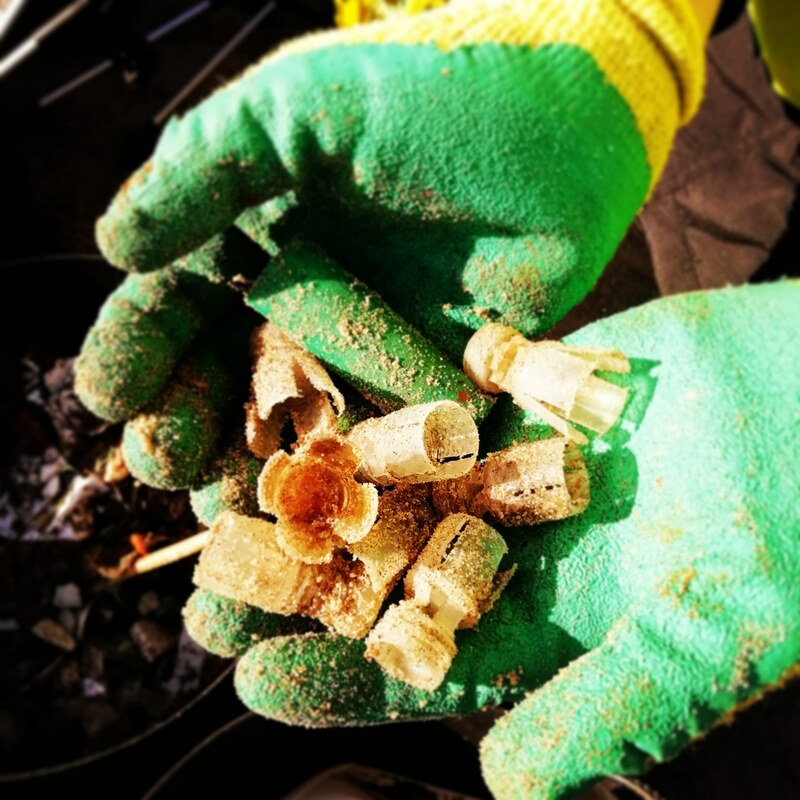 Cotton bud sticks, cigarette butts, bottle tops, balloons and strings, shot gun cartridges, straws… the list goes on and the collective total was 77kg! 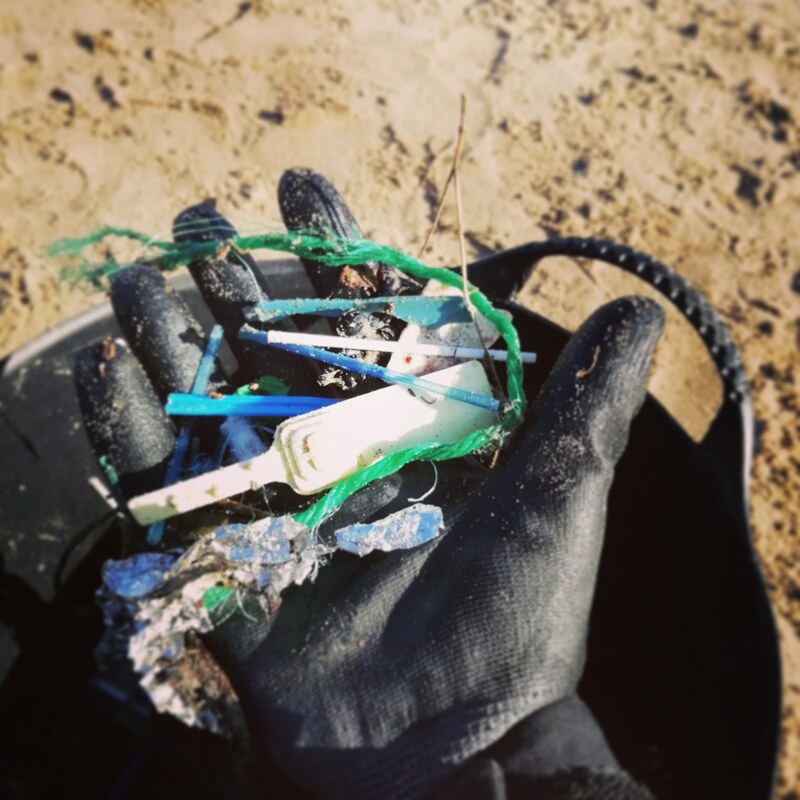 We reckon the majority of this plastic debris has not washed in from the ocean. It’s drifted down the river and our awesome volunteers have intercepted it before it makes its way to the sea. Items like these are so often flushed down the toilet or dropped on the pavement by folk mistakenly thinking that “it’ll get filtered out at some stage”. Unfortunately not. Items flushed down the loo creep through the systems put in place to strain them out. Plus, we’ve all heard the massive problems caused by wetwipe blockages in the sewers. 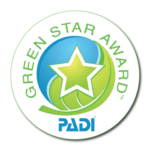 Rain washes dropped litter into open drains which lead directly to the rivers. 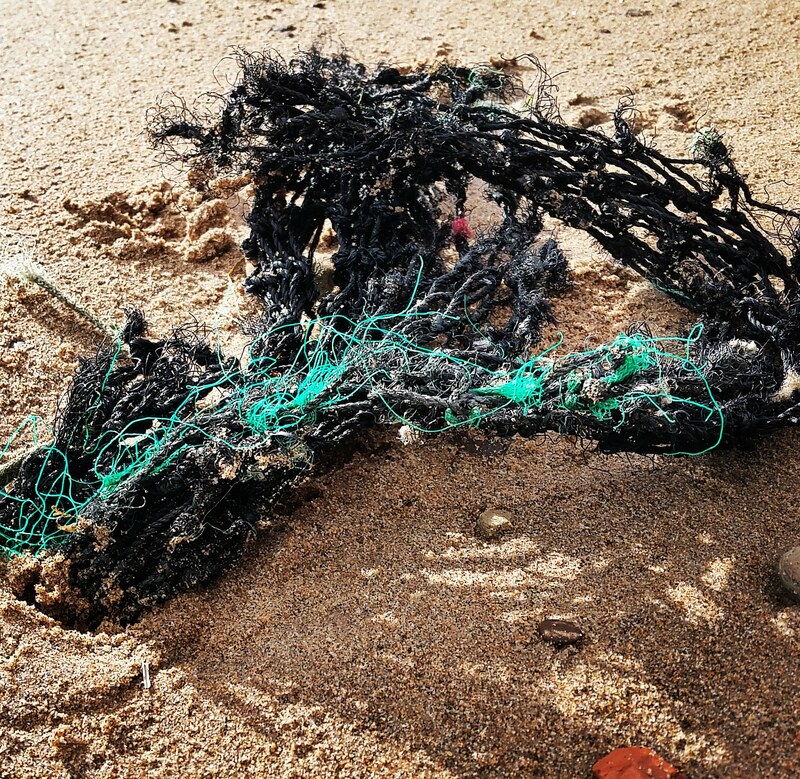 It doesn’t take long for litter to make it’s way to the ocean. 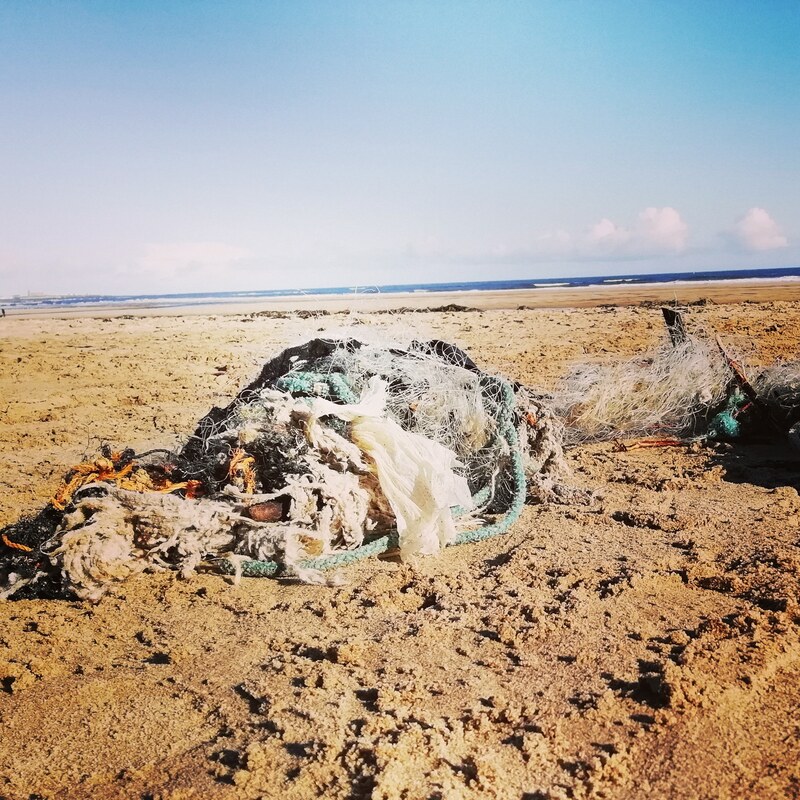 Our volunteers also found a number of items that pose a significant threat to marine life both above and below the waves. Balloons are a real menace. 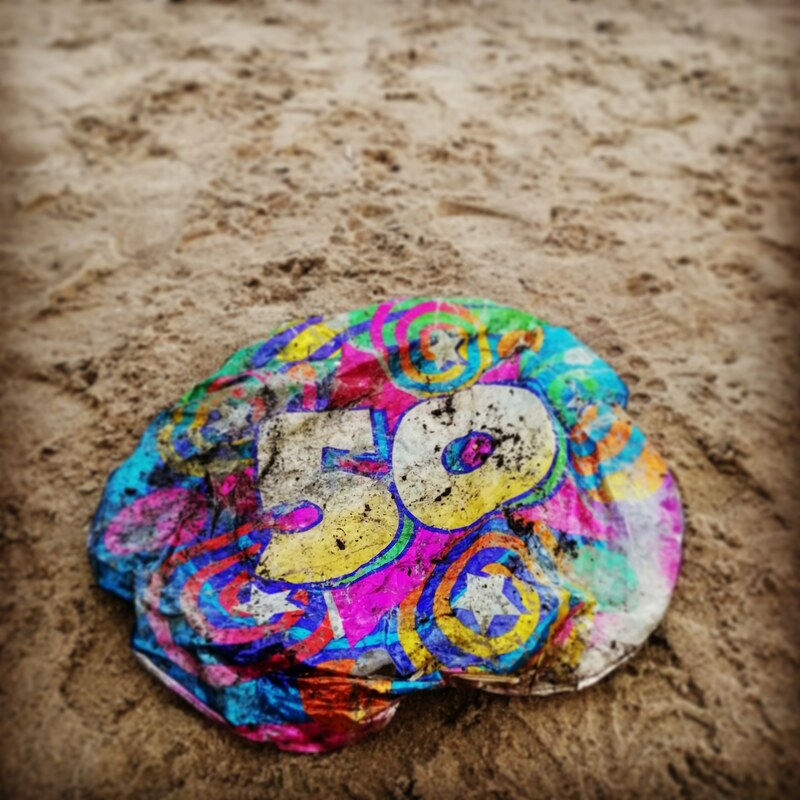 From organised balloon releases or where someone's accidentally let go, they don't stay up in the air forever. Eventually, they find their way back to earth where they can choke and entangle wildlife. As divers, we regularly pick up ghost fishing nets from underwater. They're a common site along our beaches too. They're called ghost nets because one lost, they continue to "fish". Entangling and suffocating all kinds of life. When A Beach Clean Becomes A Full Body Work Out! Sometimes a beach clean can call for lots of hard work. 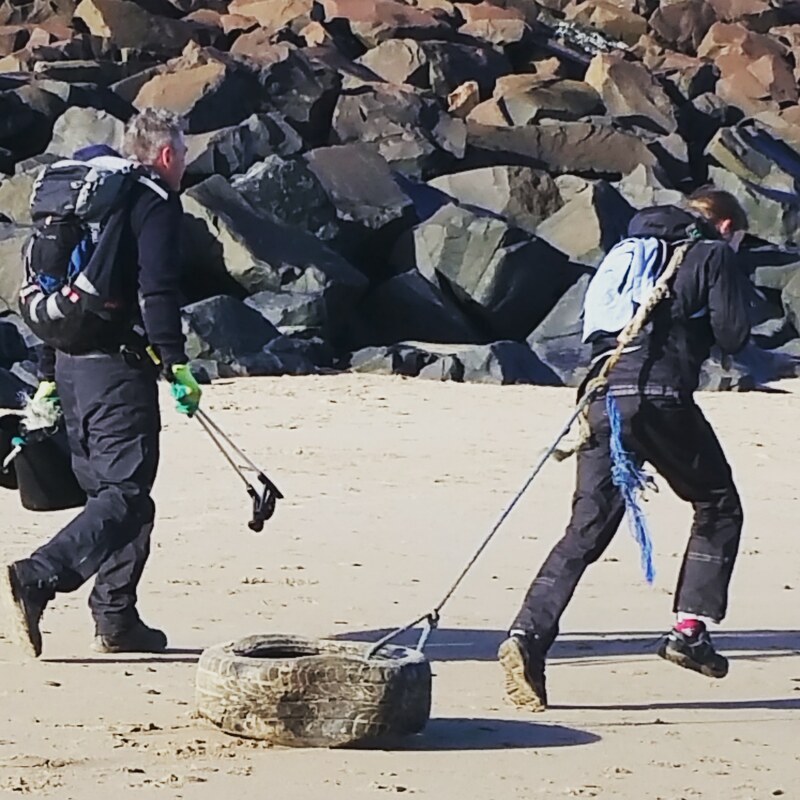 We had our very own bootcamp work out with fising nets to dig out from the sand and tyres to pull along! Posted in Environment and tagged Beach Cleans, Beach Watch, beaches, Blyth, Cambois, Cambois Beach, Dive Against Debris, Dive centres, Dive Centres NorthEast, Dive Centres Northumberland, Dive Centres UK, Fifth Point Dive Centre, Marine Conservation Society Beach Watch, Marine Debris, marine environments, North East beaches, North East coast, Northumberland, Our Sea Trash Free, SAS Big Spring Beach Clean, Surfers Against Sewage, Surfers Against Sewage Autumn Beach and River Clean, the Northumberland coast, Trash Free Seas, volunteering.